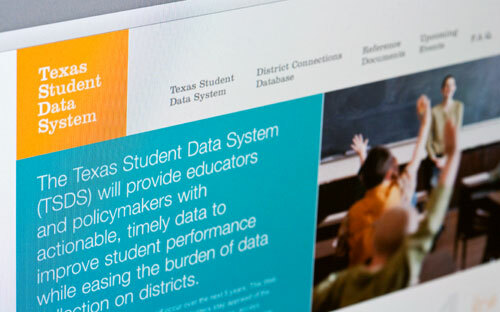 The Texas Student Data System (TSDS) is a proposal intended to provide educators and policymakers with actionable, timely data to improve student performance while easing the burden of data collection on individual school districts. Developed in a very short period of time to coincide with the first of many educator and administrator workshops, the website was responsible for distilling the ideas behind the proposed solution, acting as a repository for all documents created to date and any future documents, as well as allow people to RSVP for the forums and webinars. Finally, the website acts as a persistent location for the stakeholders across the state to provide feedback on an ongoing basis as the project continues to evolve and become reality over the next 5+ years.